Living with Hepatitis C - All Care Hawaii. LLC. People in the baby boomer generation are at an increased risk for hepatitis C, commonly called hep C. Hep C is a liver disease that is transmitted through the blood. Baby boomers are at a higher risk because hep C was at its peak for transmission between 1960 and 1980. At the time, medical procedures were different and there were no universal procedures for handling equipment and controlling the spread of the infection. The Centers for Disease Control and Prevention (CDC) recommends that all baby boomers be tested for the disease. If an older adult in your family is diagnosed with hep C, you may wonder how that affects their daily life and what can be done to help. Below are tips for helping seniors living with hep C.
Because hep C is a liver disease, it’s important to help older adults with hep C find a doctor who specializes in diseases of the liver. Because the person may need care for several years, look for a doctor your family member is comfortable with. Also, the doctor should be experienced specifically with hep C and keep up to date on the latest treatments. Hep C can be transmitted through the blood, so all family caregivers and senior care providers must be made aware of the diagnosis. Keep a supply of gloves on hand in case the person is injured and needs help. Senior care providers and family caregivers should wear gloves when bandaging wounds and wash their hands afterward. Depending on the severity of the senior’s condition, you may need to enlist the help of family and friends. 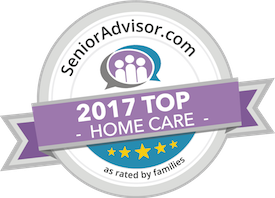 A senior care provider can be an essential part of that support team. Senior care providers can drive your family member to medical appointments, remind them to take medications, and help them with household tasks. Senior care providers can also remind them to take medications. As a family caregiver to someone with hep C, you may need to be an advocate for the person. That means you will need to be educated on the disease so that you can educate others. When people learn that your family member has hep C, they may worry that they will catch it. -Kissing or hugging the person. -The person sneezing or coughing. -Holding the person’s hand or other forms of casual contact. -Sharing food, drinks, or eating utensils. When an aging family member is diagnosed with hep C, the news can be difficult to hear. Learning everything you can about the disease will help ease your fears and allow you to ensure the person gets proper care. Have questions about elderly care in Hawaii Kai, HI? Contact the caring staff at All Care Hawaii today.